A pink coloured suspension containing 65mg per ml of dicyclanil. For the prevention of blowfly strike on sheep caused by Lucilia sericata or Wohlfahrtia magnifica. 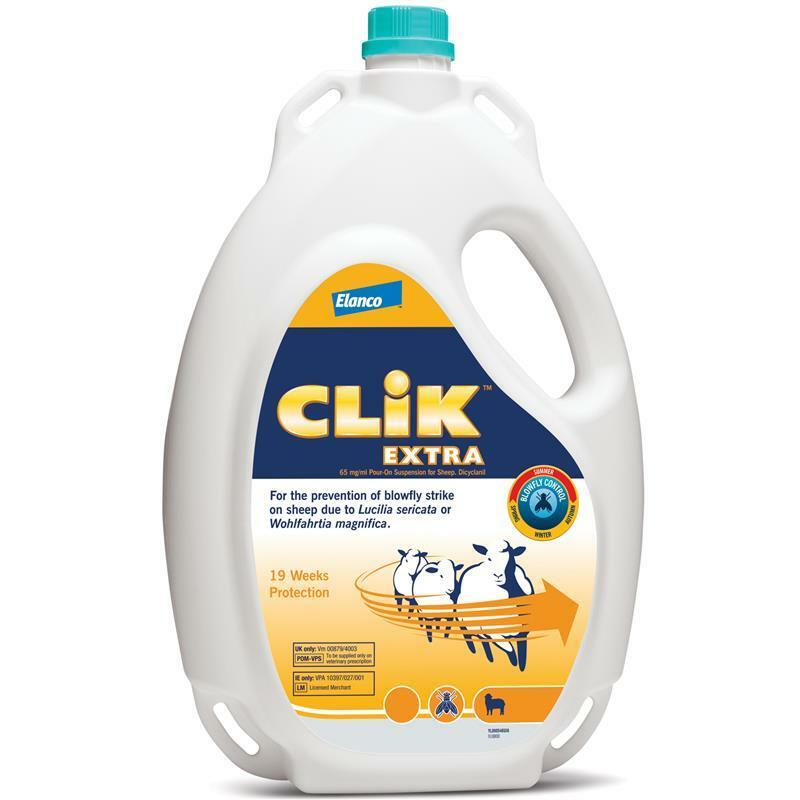 Clik Extra will protect against fly strike for 19 weeks. It is good agricultural practice to check animals regularly for fly strike.